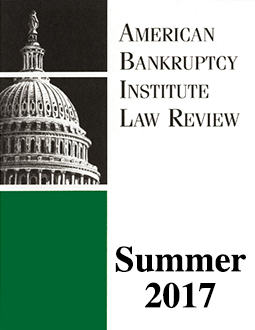 Since 1992, the American Bankruptcy Institute Law Review has been one of the most read and widely-cited scholarly law reviews in the bankruptcy world. Published by our partners at Thomson Reuters, it is written by members, for members. The Law Review is available to all members, at no charge, in electronic form and for a nominal annual fee as a printed publication.